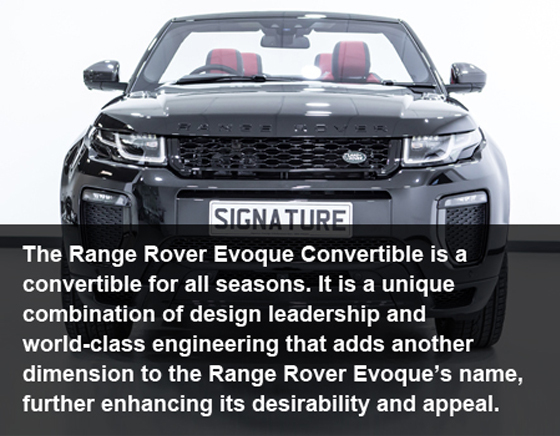 The new Range Rover Evoque is truly a car for all seasons. Like all Range Rovers, it is confident and capable over all terrains, built with a premium interior and advanced technological features, this new Range Rover ticks all the boxes when it comes to self-drive hire. 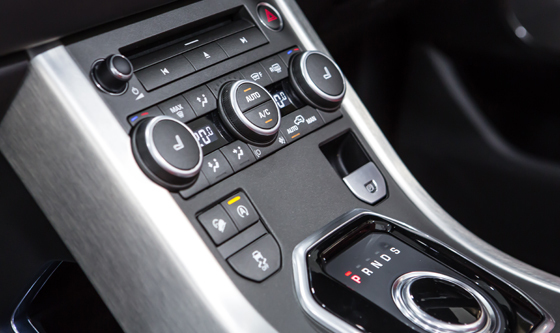 This is a ground-breaking car. Not only is it the first purpose-built convertible model from Land Rover, but it is also the world's first premium compact SUV convertible. 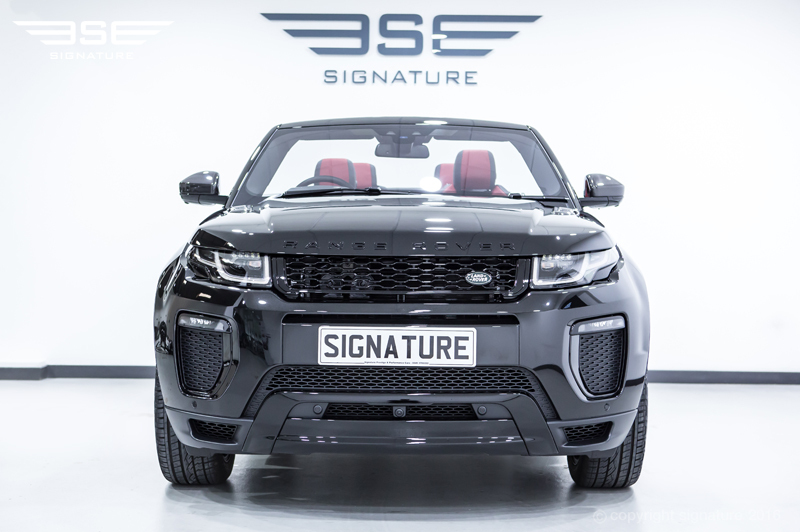 Born and bred in the UK, this innovative and stylish convertible car comes just four years after the original Evoque. By hiring our petrol Range Rover Evoque Convertible you'll be one of the first people in the UK to experience the thrill of an entirely new automotive experience. As well as a stylish folding roof, this SUV comes with a wide range of technological features, a lusciously comfortable interior and a gorgeous body. Best of all, it's a Range Rover, and with it comes the knowledge that you are behind the wheel of a refined, elegant and effortlessly capable machine. 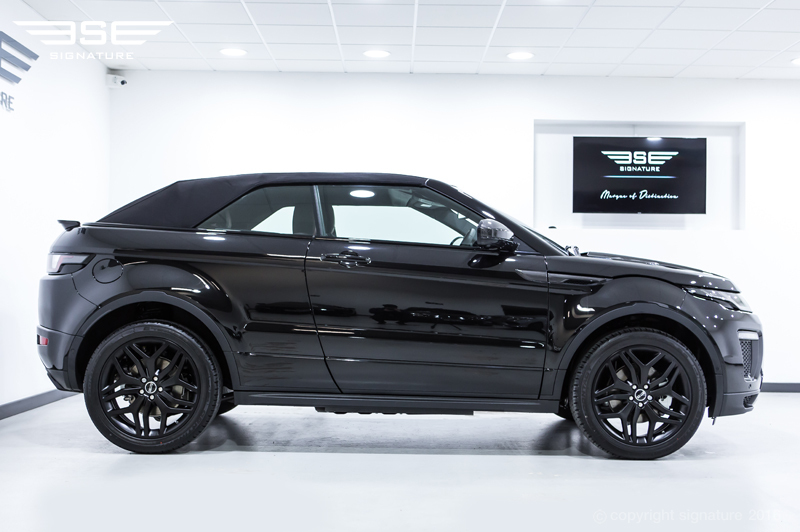 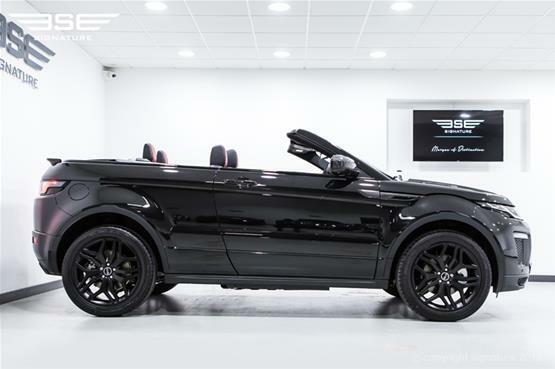 This stunning black Range Rover Evoque Convertible comes with a 2.0-litre, four-cylinder Si4 petrol engine, producing 237bhp. 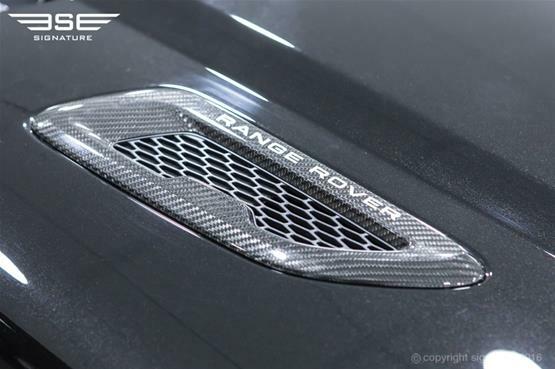 Although it's a heavy car, this cleverly-engineered powerplant can still push it from 0 to 62MPH in just 8.6 seconds. 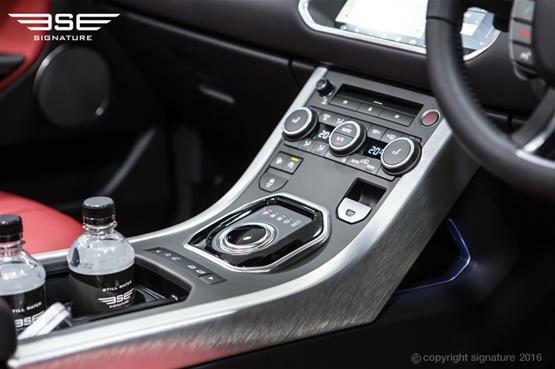 The engine is coupled to a nine-speed automatic transmission, which can be utilised through the steering wheel mounted paddle shifts. As you'd expect, the car is four wheel drive, but it automatically switches to two-wheel drive during steady-state driving at speeds above 22mph, then return to four wheel drive mode when it senses a loss of traction. 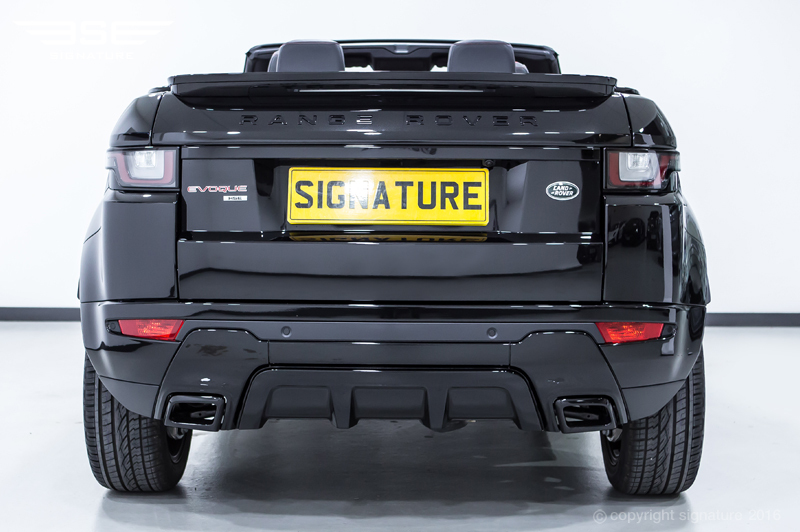 It's technological tricks like these that make the Range Rover Evoque Convertible such a breeze, and a pleasure, to drive. 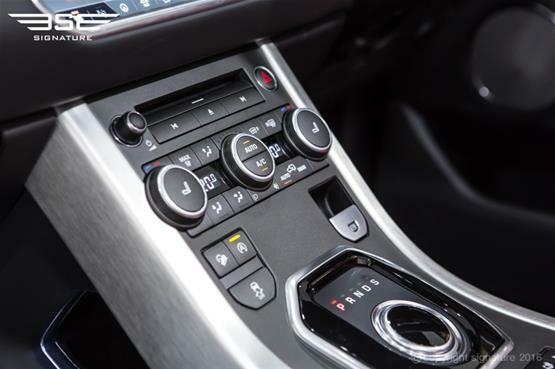 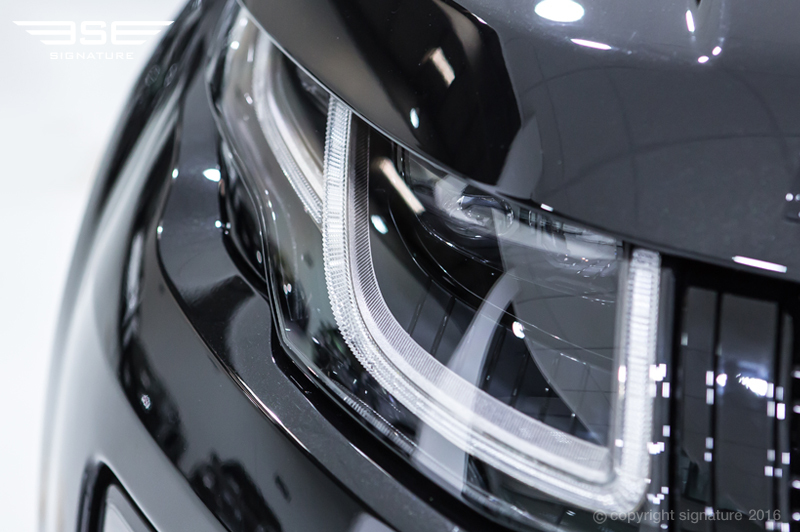 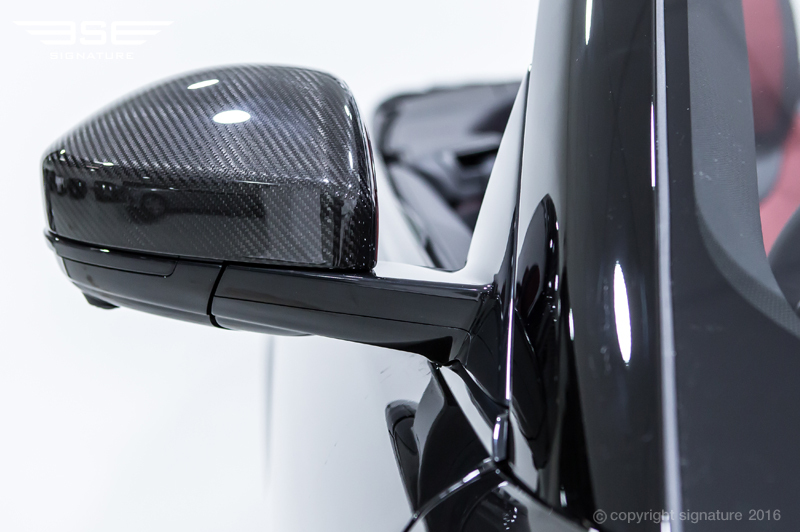 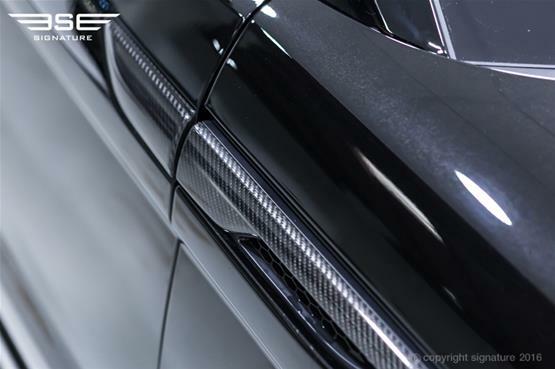 Jaguar Land Rover are known for their attention to detail, particularly when it comes to engineering, and those who have previously driven Range Rovers will instantly appreciate just how much work has gone into ensuring that this new car is as capable as any other in the range. The Evoque Convertible has a reworked suspension, with larger-diameter anti-roll bars compared with the coupé. 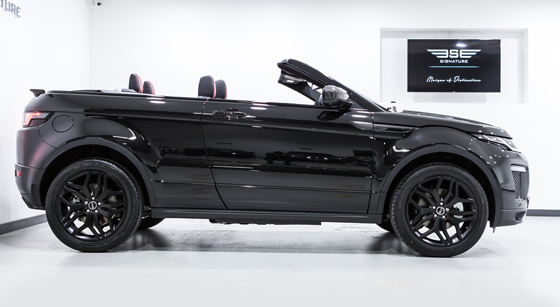 This is part of the reason why this car is just as capable off road as any other vehicle in the range. It can, for example, scale 45 degree gradients and traverse 35 degree slopes, meaning that you can go almost anywhere in comfort. The car also comes with Land Rover's fabled Terrain Response technology, which allows you to tailor the car's settings to the area you're driving over. 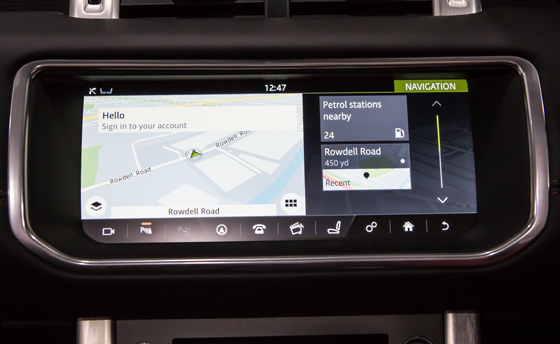 Terrain Response offers four driver-selectable settings tailored for driving on road, grass/gravel/snow, mud and sand, while the All-Terrain Progress Control keeps the car at a pre-set speed, leaving the driver to focus on negotiating off-road obstacles. You'll also benefit from hill descent control and Wade Sensing, which allows you to traverse through water up to half a metre deep. 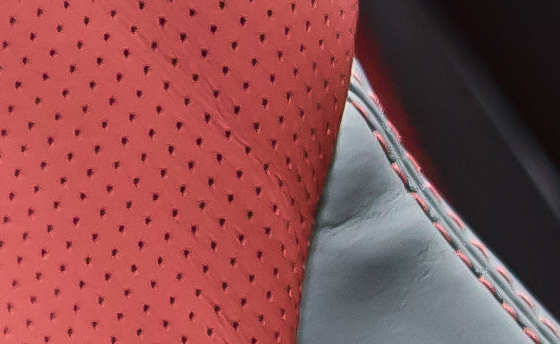 If you're already a fan of the brand, then this is an entirely unnecessary question. 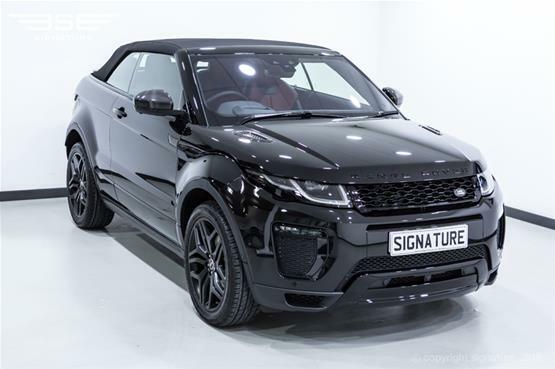 If you're yet to discover Range Rover, however, then all you need to know is that this is a gorgeously stylish, effortlessly practical car that will take you over almost any terrain. It's also the first of its kind, and a rare chance to experience automotive history in the making. Need we say more? 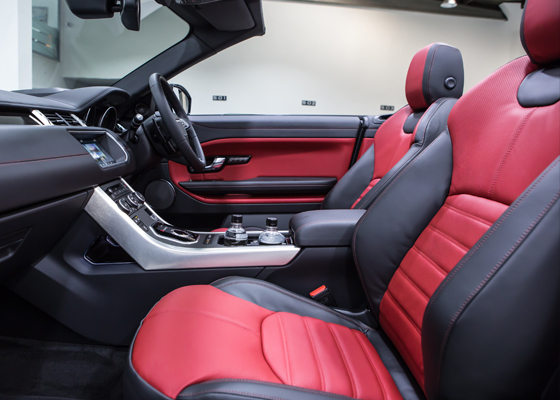 The Range Rover Evoque Convertible is stuffed with the latest safety technology. 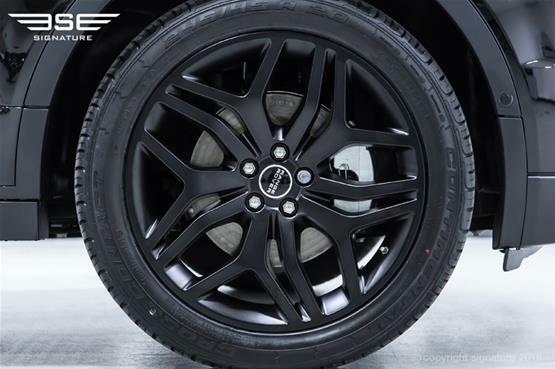 Its Torque Vectoring by Braking system, for example, detects understeer and subtly tightens the car's line by applying braking force to the outside front wheels. 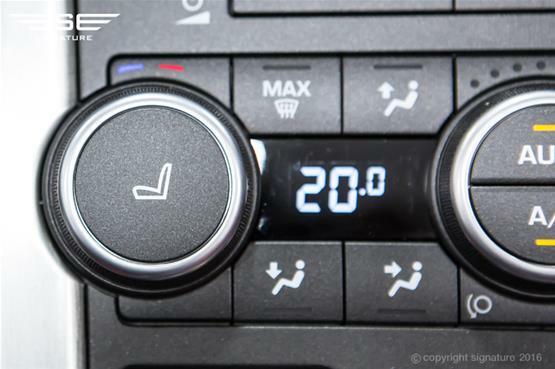 Speaking of the brakes, the Autonomous Emergency Braking system is in place to avoid accidents at low speeds, while the rollover protection device and huge amount of airbags are ever present for emergency situations. Although it's more exposed than any other Range Rover interior has been, the inside of this car is still as luxurious as you'd expect. 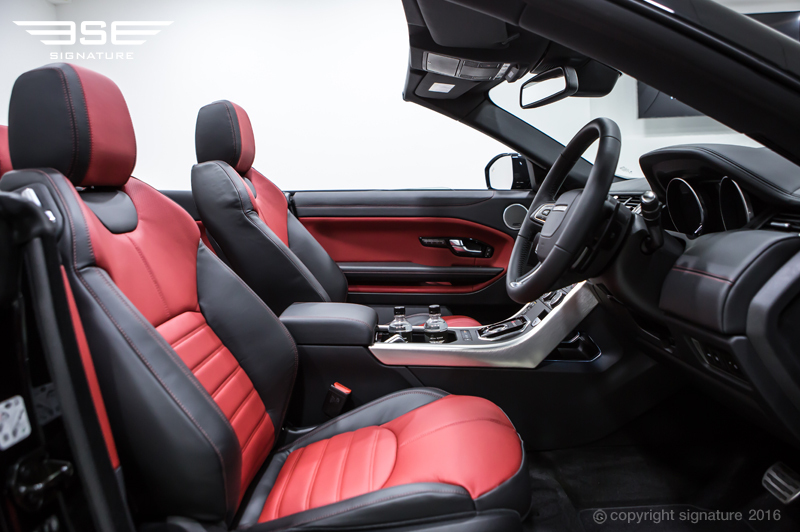 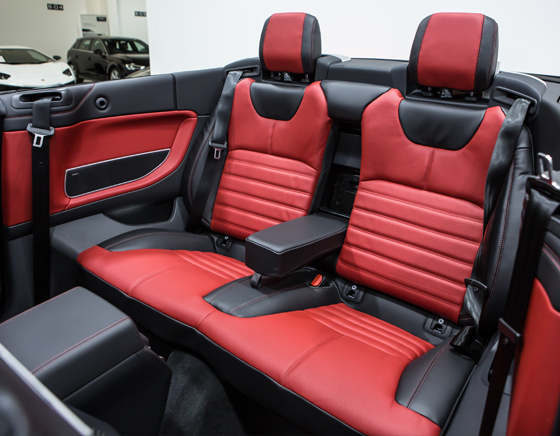 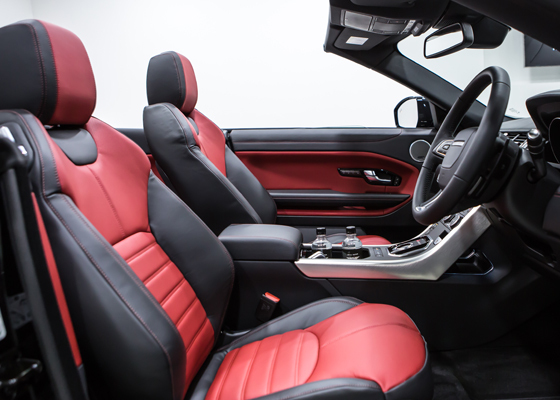 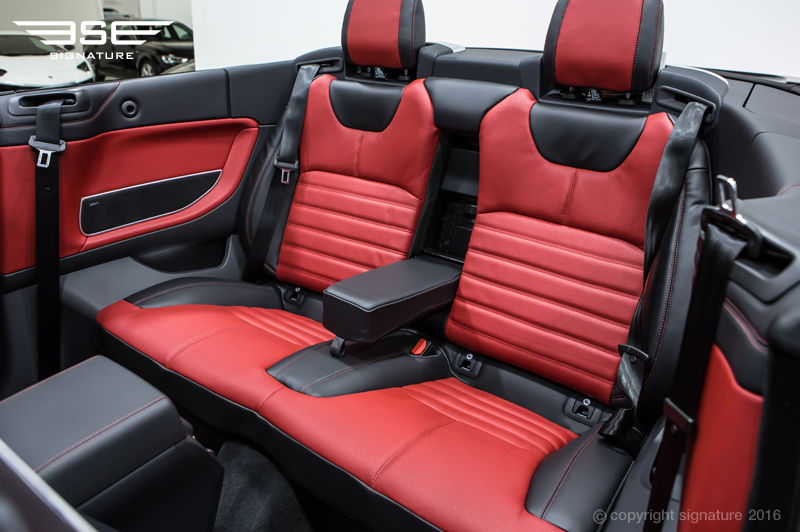 Covered in soft black and red leather, the14-way seats provide lumbar support, position memory and even a soothing massage function. 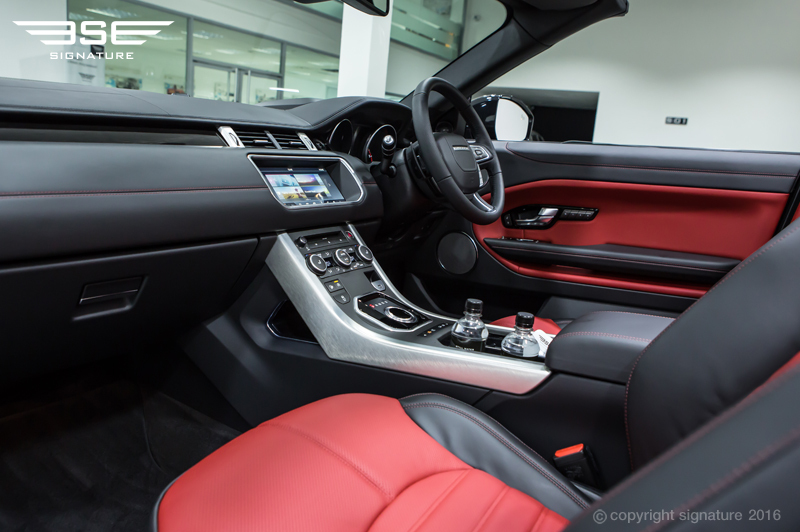 At your feet are matching carpets, with exclusive contrast stitching that demonstrates just how much attention the marque pays to detail. 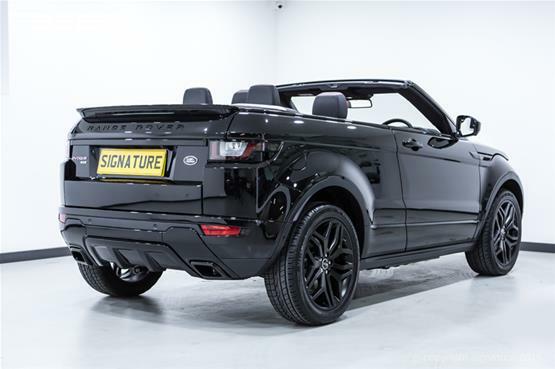 With the roof down there is still ample headroom, as well as more than sufficient space for passengers in both the front and rear seats. 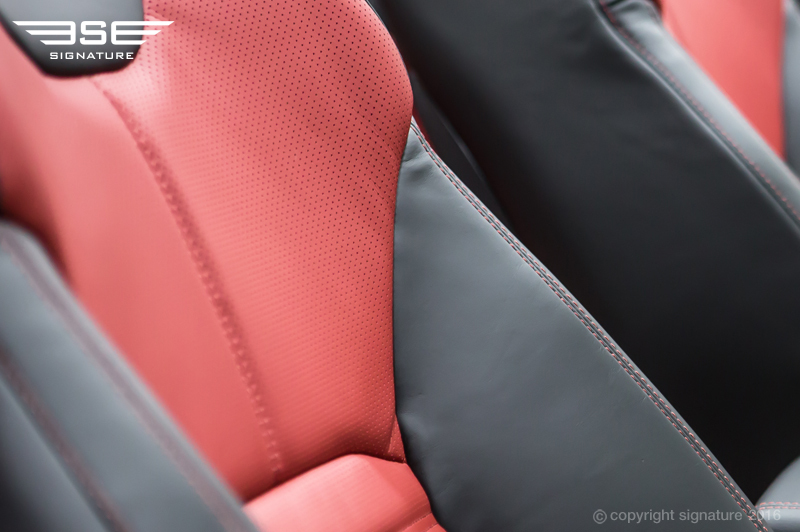 The rear seats, separated into two distinct armchairs, are a particularly comfortable place to be! 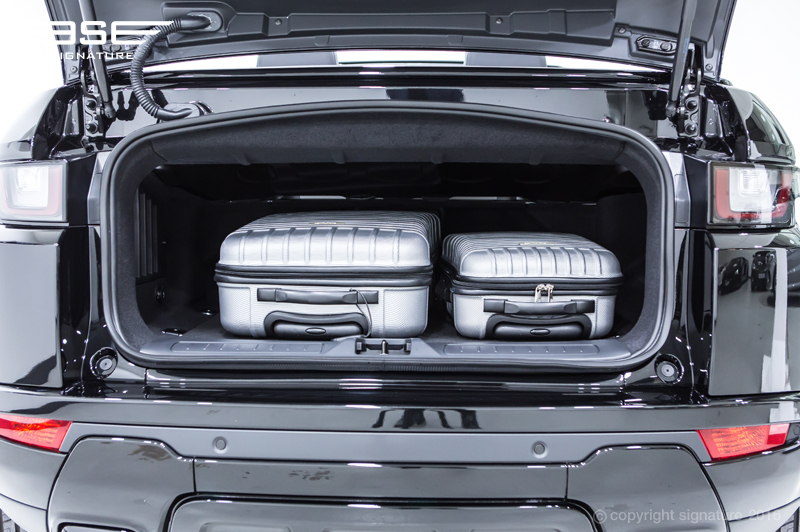 The boot has an additional 251 litres of space, perfect for those weekend bags. 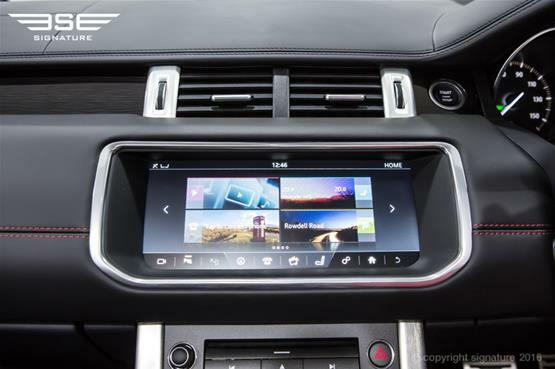 Up front is an all-new high resolution 10.2 inch touchscreen, which you might recognise from the latest Jaguar XF. 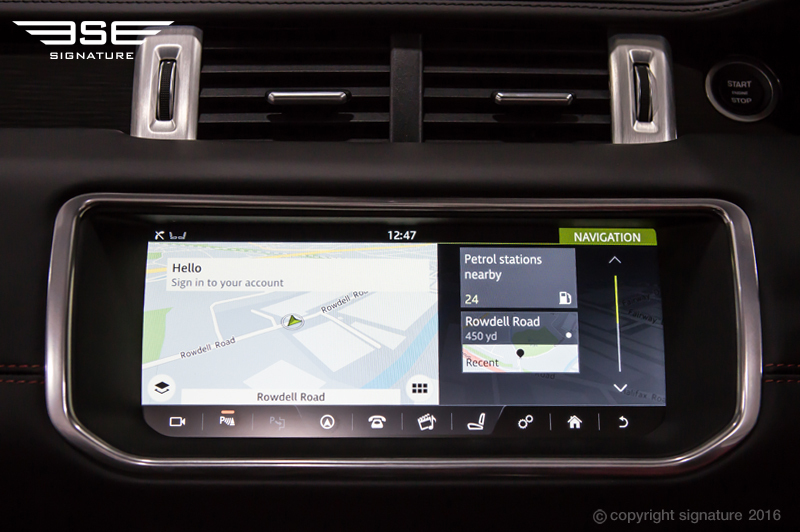 Thanks to the InControl Touch Pro system, you can integrate your smartphone as well as benefit from navigation and a suite of high-tech apps. 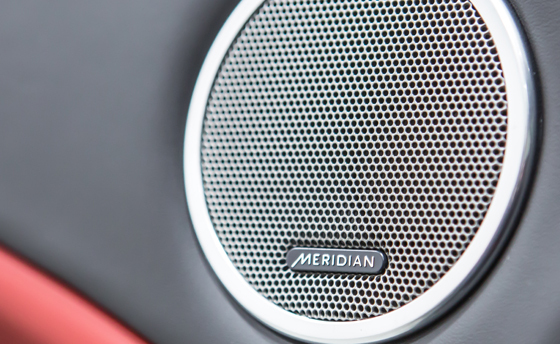 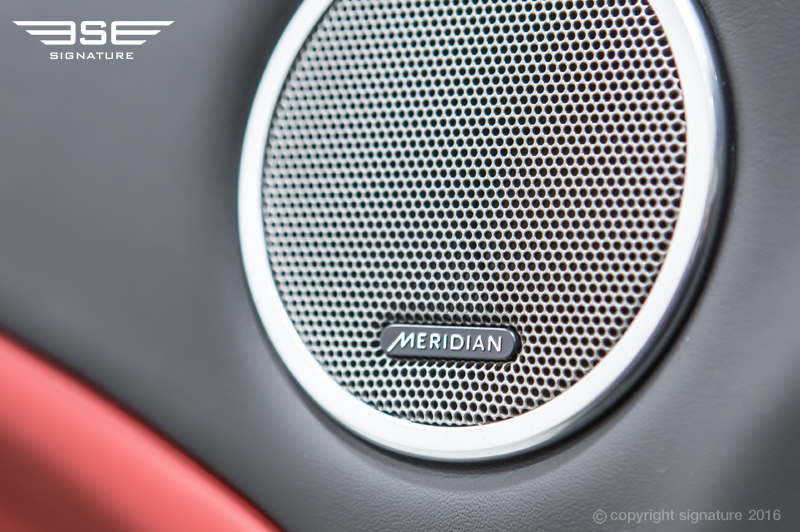 Entertainment comes courtesy of the DAB digital radio, which sends music to the 13-speaker Meridian sound system, as well as the integrated CD/DVD player. Despite the open-top roof, there is very little noise in the cabin, partly thanks to the innovative wind deflector. 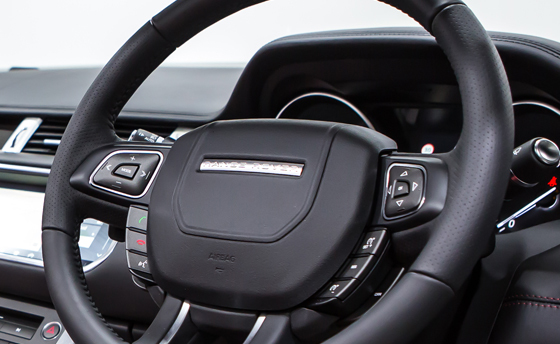 For the driver, there is a beautiful perforated Oxford leather steering wheel from which you can select features such as cruise control and gear shifting. 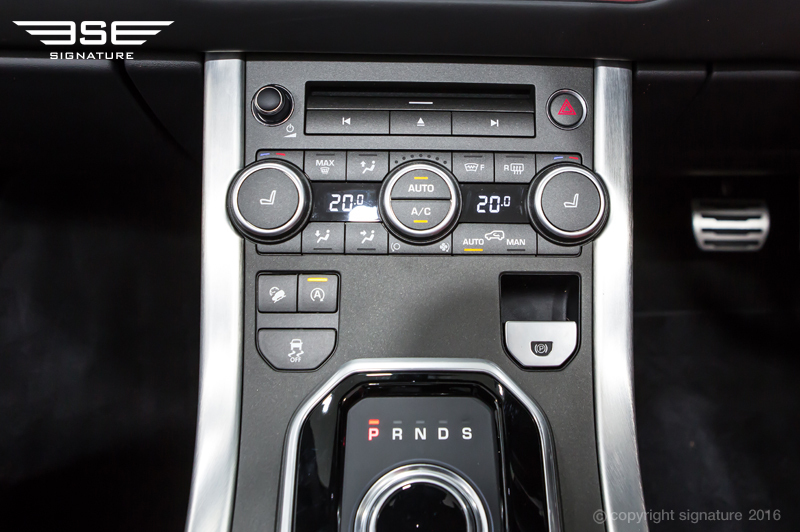 You can also operate the roof controls from a button on the centre console. 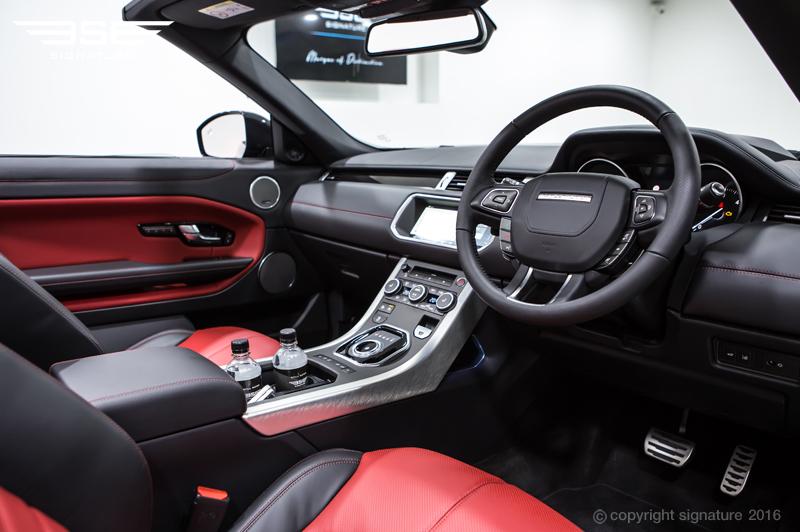 The first thing that draws the eye is of course the folding roof. Known as 'Z-fold' for the way it retracts, the roof can be operated at speeds of up to 30MPH, takes 18 seconds to stow into a compartment behind the rear seats and 21 seconds to rise. Land Rover has a mission to combine form and function in all its design, and this is entirely evident in this beautiful white car. 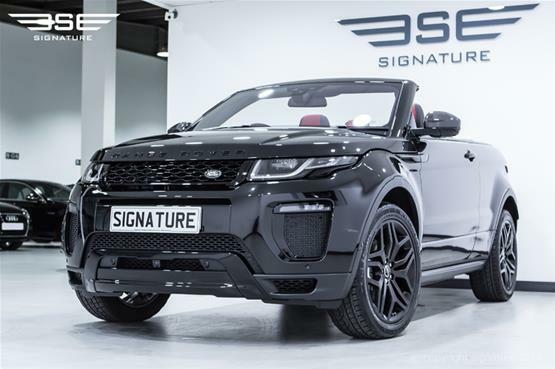 Range Rover Evoque fans will instantly notice that the Convertible features many of the design changes introduced as part of the recent Evoque facelift, including its more aggressive front bumper with enlarged air intakes and slimline LED fog lights. 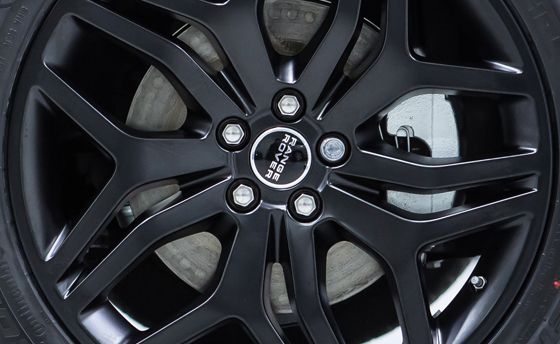 Completing the look are five split spoke 2 inch metallic alloys with a Satin Black finish.